Let’s put it this way—damaged ductwork certainly doesn’t help your furnace, nor your comfort. We get it, you want your heater to work as effectively and efficiently as possible. Well, then it’s important that you think about the “V” part in “HVAC.” That is the ventilation that connects your furnace (and central air conditioner) to the outside, making the distribution of conditioned air possible. 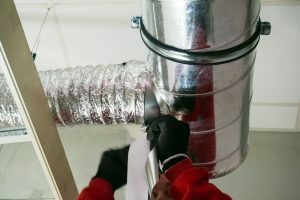 This ventilation system is what’s known as your ductwork, or air ducts, and is usually hidden out of sight behind walls, beneath floors, or in your attic and crawlspace. Posted in Heating | Comments Off on Can Damaged Ductwork Hurt Your Furnace?